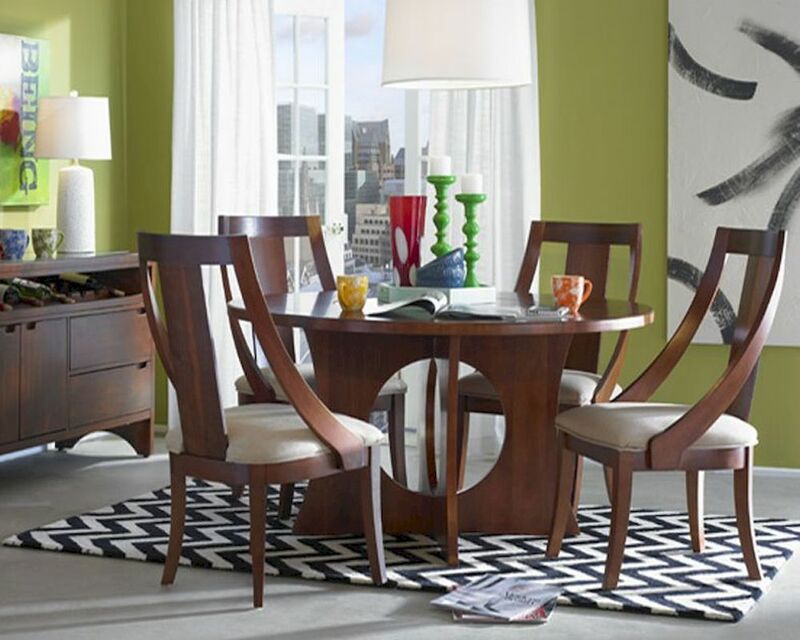 Manhattan dining room furniture brings Modern and Retro to the table in ample helpings of style and elegance. With just a hint of Art Deco, Manhattan caters to contemporary tastes. Oh behave! 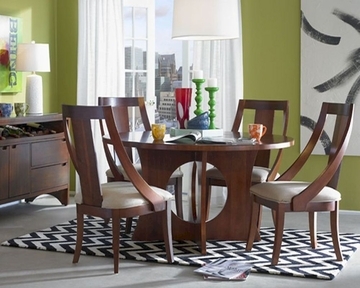 The Manhattan pedestal table serves up a Retro and Modern update. An arched cross base that forms a groovy open base, with a lazy Susan function that’s just so right for your mobile lifestyle.